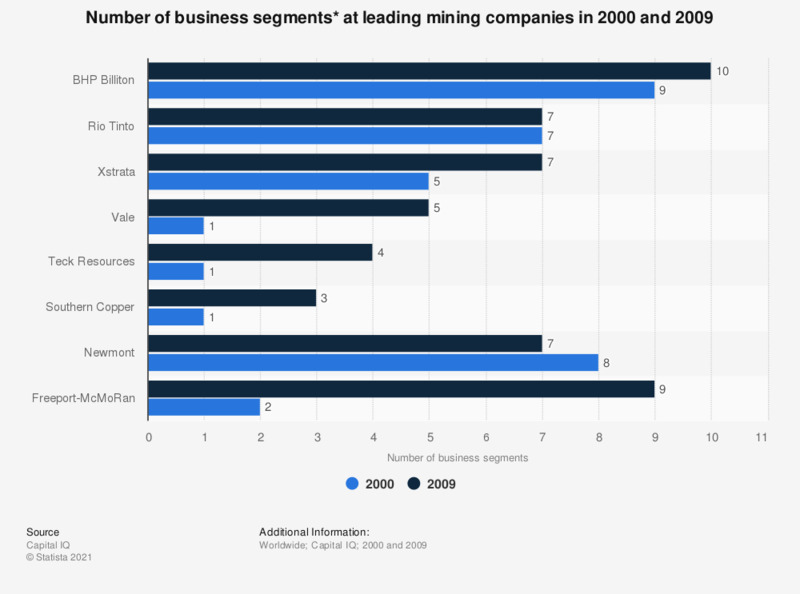 This statistic shows the number of business segments at selected mining companies from 2000 to 2009. In 2009, BHP Billiton had 10 business segments. * Segments represent the number of segments companies reported on their financial statements and may not be comparable from one company to another, depending on how they combine or split operation.